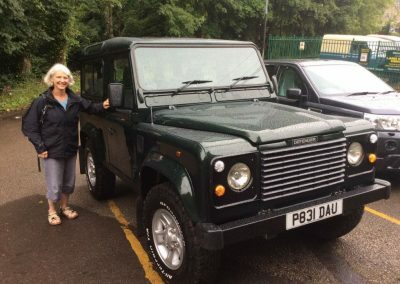 A week or so ago, Denise reserved our rebuilt Defender 90 “Subject to viewing”. Today she travelled down to view and test drive. We are pleased that she was very happy with her choice, and she soon felt at home driving it. 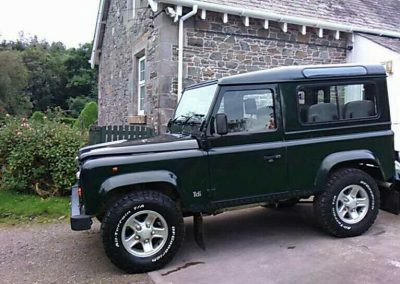 Once the purchase was complete – she immediately set off back home to the Borders. 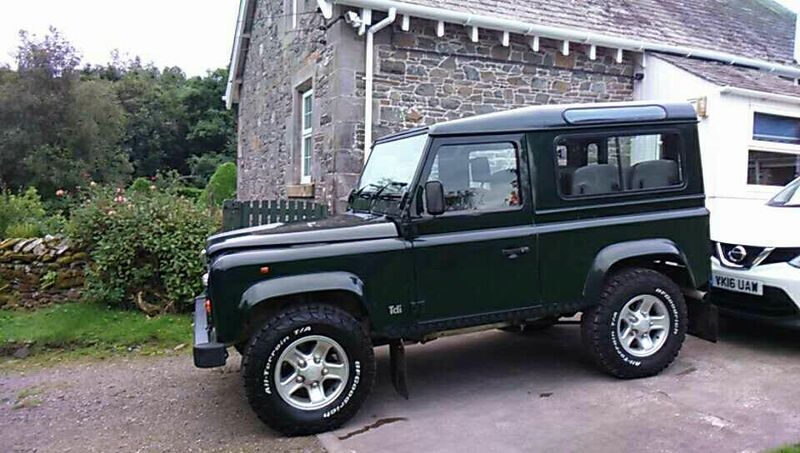 Hi Mark, we arrived home safe and sound – The car ran perfectly all the way.